Offline writing gives you the convenience of being able to write and publish blog posts directly from your desktop, without having to sign in to your WordPress dashboard. You can write, publish, schedule a post, add categories and tags right from your desktop. There are several third party options available for doing this. One of the free options for Windows is the Windows Live Writer. 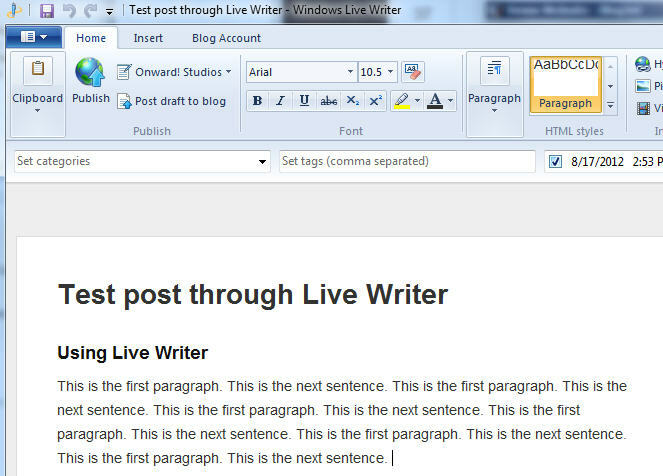 In this post we’ll look how to set up and use Windows Live Writer. Step 1: Turn on option to publish offline. From the dashboard, go to Settings/Writing. In the Publishing section, enable the Atom Publishing Protocol and XML-RPC publishing interfaces. Save your changes. Windows Live Writer is a part of Windows Live Essentials. 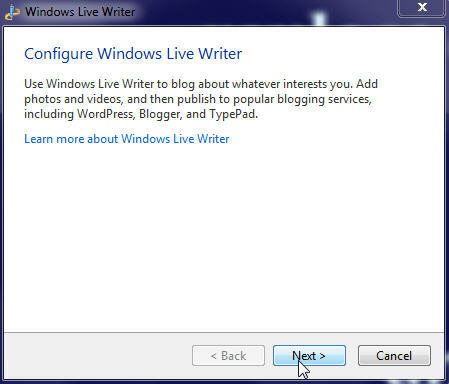 Although you have to download the entire Live Essentials package, you can choose to only install Live Writer. 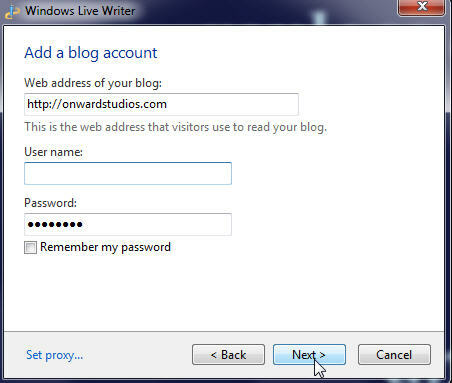 When you first launch Windows Live Writer, you will need to configure Windows Live Writer to see your blog. Select the WordPress blog option. Enter the signin information to connect to your WordPress blog. 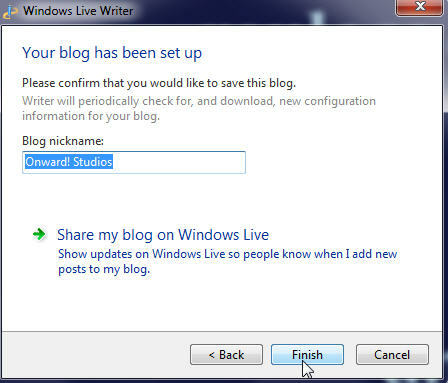 Add a nickname for your blog (this is how it will be identified within Windows Live Writer) and confirm you want to save this blog. Use the common options at the top of the window for formatting and laying out your blog post. 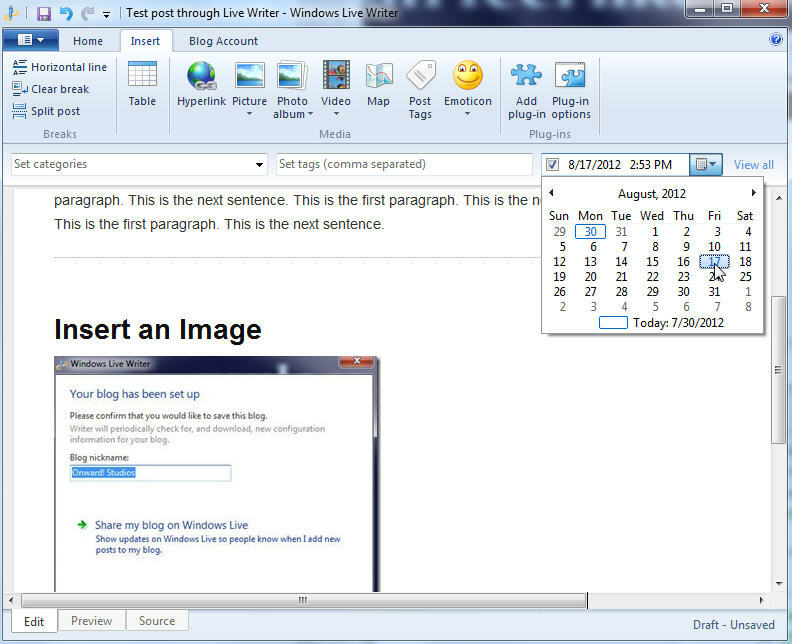 You can set the publishing date from within Windows Live Writer. At the top left of the window you can set categories (category list is pulled from the WordPress blog). Just to the right of this you can also select tags. 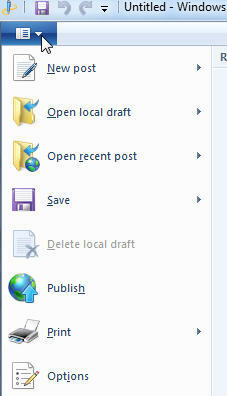 You can also add categories and tags from within Windows Live Writer. The insert panel includes various items that can be inserted quickly into the blog post. You can open local draft posts or recent posts (as well as other standard options) from the Live Writer Menu. 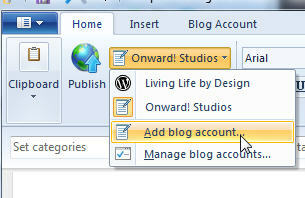 You can add multiple blog accounts and quickly navigate between your various blogs. 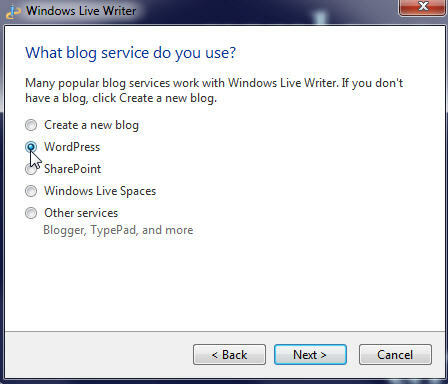 All in all, Windows Live Writer (and similar packages) gives you the opportunity to work offline, yet retain most of the options were use to when writing a blog post. What has been your experience working with an offline writing program? I just wanted to drop all of you a note that I've reviewed the excellent ebook entitled 'Successful Freelance Writing Online' by Tom Ewer. You can also use a MS Word doc to so pretty much the same then publish it to WordPress as a draft. This is good for adding charts and tables. Thanks for the detailed info regarding setting up the WLW. However, I’m unable to set it up on my laptop as I’m working on my blog by installing wordpress and WAMP server locally before publishing the blog. I wonder how I could install WLW on localhost. Any help is greatly appreciated. Thanks for the overview. Made it real easy to try this approach. And I should have mentioned you still need to “uncheck” the other items you don’t want installed.